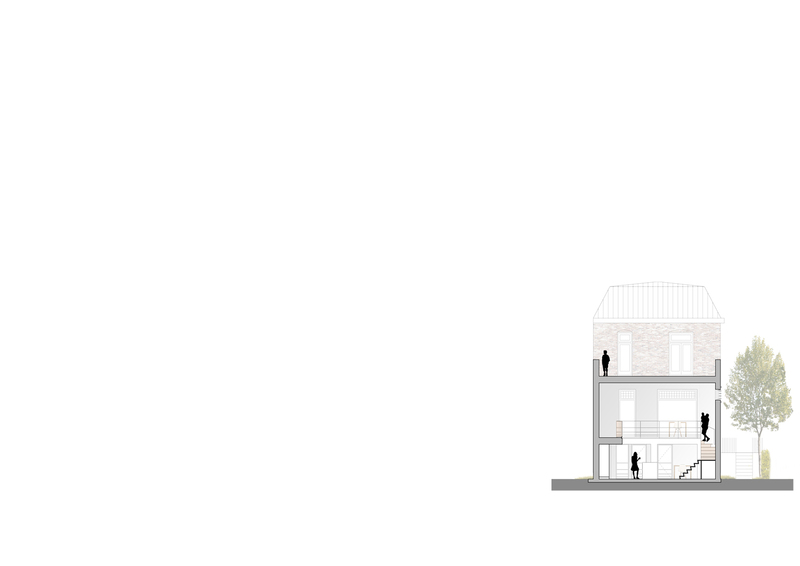 With some thoughtful architectural interventions we succeeded in modernising a monumental townhouse dating from 1905. The house has a bel étage at one meter above street level and a lower ground floor at garden level, minus two meters sixty. 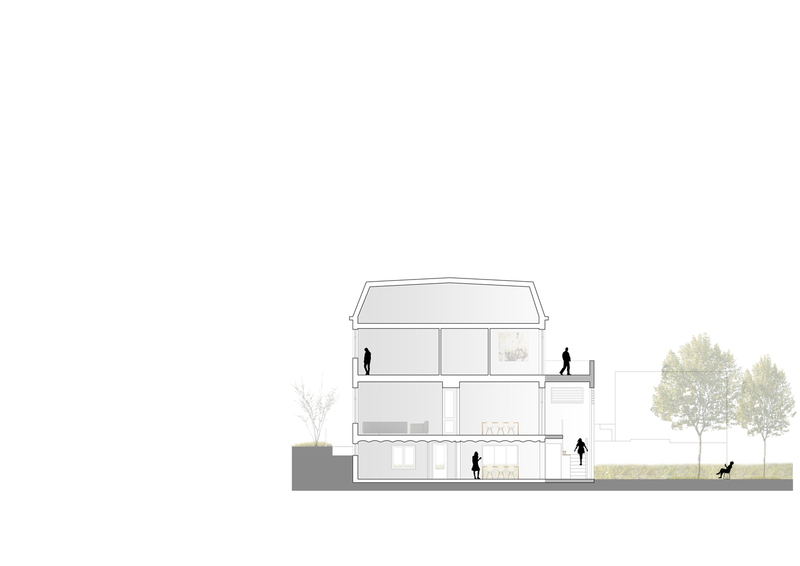 By introducing a double-height open space next to the rear facade a renewed situation is created. 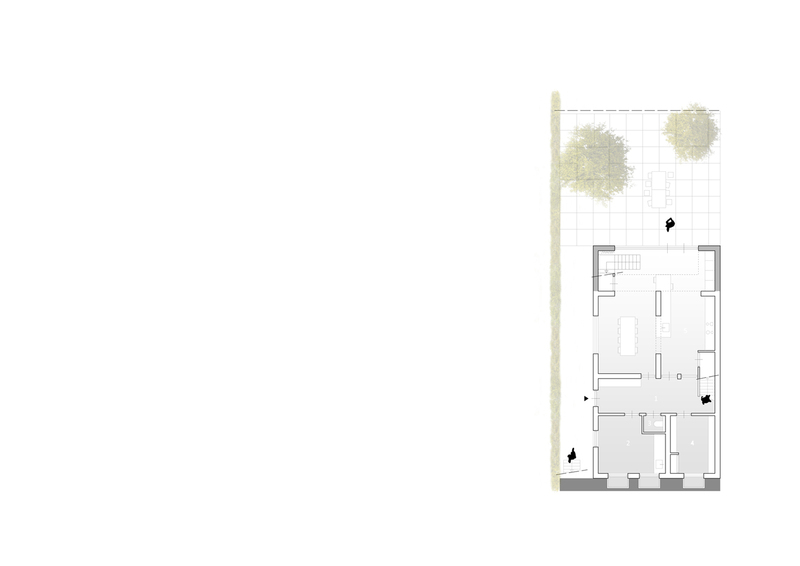 In a logic way this space arranges unity; the bel étage and lower ground floor are interrelated and both are in direct contact with the garden. 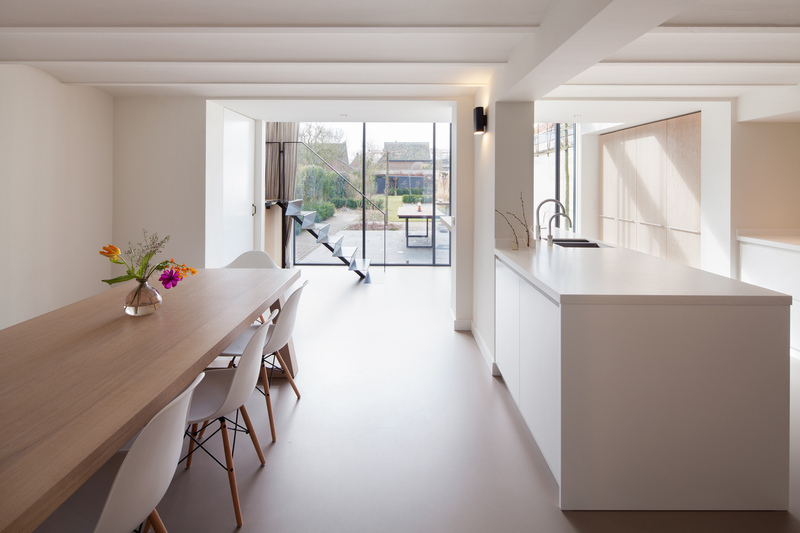 Daylight forms an important design ingredient. 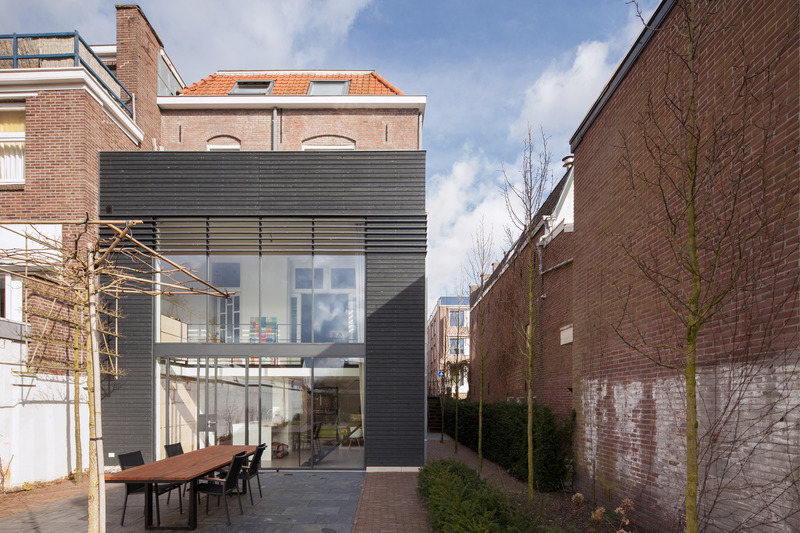 A two-storey high steel window frame provides generous amount of light to enter the house. The open and bright annex reorganises this impressive house and also provides it with a pleasant garden room.